Red Smith called him a ballplayer's ballplayer. Eddie Mayo, The Sporting News Most Valuable Player in the American League in 1945, passed away at his residence in Banning, California early last week. At 96, he was the oldest living former Detroit Tiger and the eighth oldest living former Major League Baseball player. Eddie Mayo, The Sporting News Most Valuable Player in the American League in 1945, passed away at his residence in Banning, California early last week. At 96, he was the oldest living former Detroit Tiger and the eighth oldest living former Major League Baseball player. Mayo's best years came in a Detroit Tiger uniform. He played second base for the Tigers from 1944 through 1948. In 1945, he helped lead the Tigers to the American League pennant and to victory over the Cubs in the seven-game World Series. Sportswriters referred to him as "Steady Eddie." He batted a team-leading .285, hit 10 home runs, and in addition to The Sporting News MVP Award, he earned a Gold Glove for his league-leading .980 fielding average. Described by sportswriters as a "brilliant fielder," he had earlier won a Gold Glove playing third base for the 1943 Philadelphia Athletics. 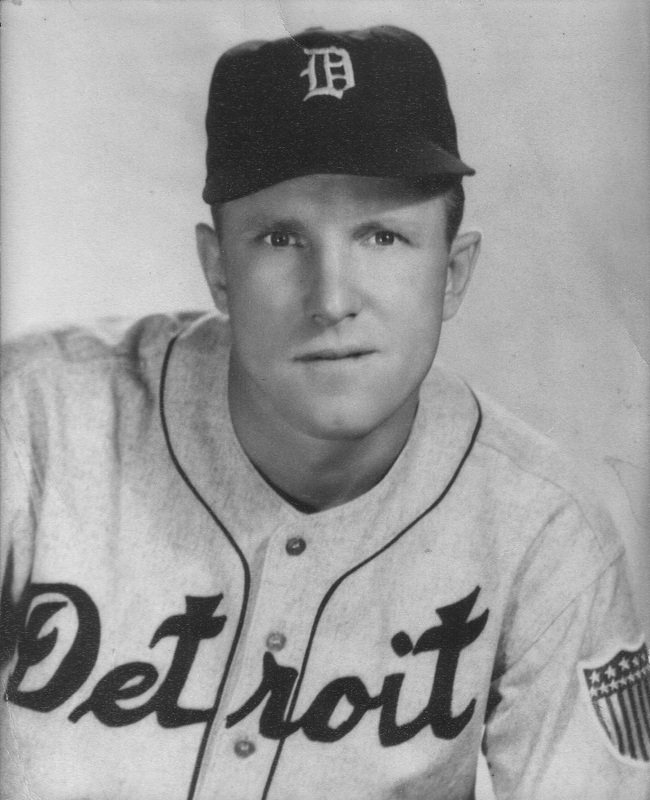 Teammate Hal Newhouser credited Mayo for sparking the Tigers' 1945 pennant drive, calling him the "take-charge guy in our infield." As a rookie, Mayo played for the New York Giants in the 1936 World Series against the Yankees. After a year playing third base for the Boston Braves, he spent the next five years playing for the Los Angeles Angels in the Pacific Coast League. In 1938, Los Angeles sportswriters chose him as the Angels' MVP after he batted .332 and set a PCL record for playing 34 consecutive error-free games. In 1949, Mayo became manager of the Tigers' Toledo Mud Hens Triple-A farm team. His charges in Toledo included 18-year-old pitcher Ray Herbert, who years later said he may never have reached the majors but for the patient tutoring he received from his Mud Hen skipper. After two years in Toledo, he moved to the third base coach's box at Fenway Park, joining his former Tiger skipper, Steve O'Neill, who had taken over the reins of the Red Sox. From 1952 through 1954, following O'Neill again - this time to Philadelphia - Mayo directed traffic at third base for the Phillies. Hall of Famer Joe Cronin called Mayo the best third base coach in the major leagues. Mayo grew up in Clifton, New Jersey and was signed by the Tigers in 1932. Before joining the Giants in 1936, he played minor league ball in Johnstown, Knoxville, and Baltimore. Mayo's post-baseball career included owning several restaurants in northern New Jersey. After retiring and moving to southern California, he became very active as a fundraiser for the Loma Linda Children's Hospital. Eddie Mayo is survived by 4 children, 12 grandchildren, and 20 great-grandchildren. Eddie Mayo, 1945 Detroit TigersPhotograph of Eddie Mayo taken in 1945 while wearing his Detroit home uniform (JPEG file format). Eddie Mayo, Sporting News 1945 AL MVP DiesEddie Mayo, Sporting News '45 American League Most Valuable Player Dies (Press release in PDF file format).